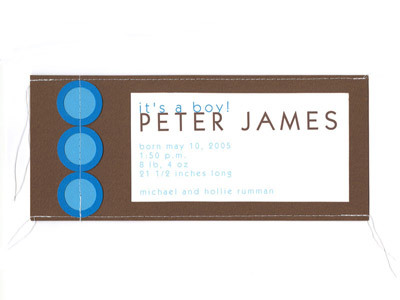 Very cool invite in chocolate brown and ocean blue shades. 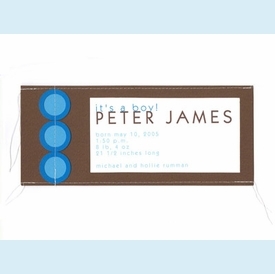 Circle diecuts are literally sewn onto the pocket card and a white imprintable insert slides in from the side. White threads left intentionally long for a dangling effect. Nice masculine look. CLOSEOUT...only a few boxes left.